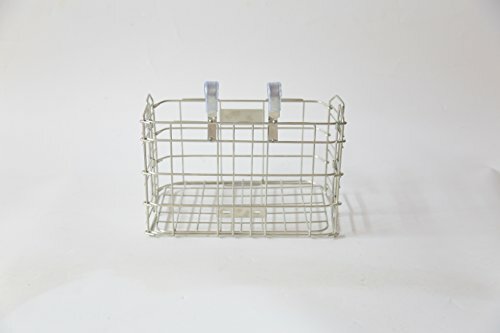 12" x 7.8" x 7"
Tough steel wire bike basket has a strong bearing capacity,maximum capacity of 44lbs. Easy foldable:Easy Installation on Front Handlebar & Rear Seat. It can be opened when it is used and it is folded when it is not used. Rust-proof: bicycle basket passes through a multichannel painting process,strong resistance to corrosion. A pair of sturdy crooked hooks,can bear the whole basket. Suitable for ordinary bicycles, Folding Bikes , and Some Mountain Bikes,measures 12" x 7.8" x 7"
If you have any questions about this product by SportPapa, contact us by completing and submitting the form below. If you are looking for a specif part number, please include it with your message.